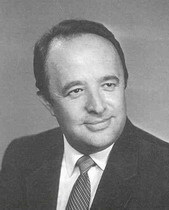 Arkady Luxemburg recieved a Master of Arts degree in 1964 at the Academy of Music in Kishinev Moldova, the former USSR, where he studied piano performance, composition and music theory. He worked as a concert pianist, accomponist, instructor at the Academy of Music, College of Music, School of Music, SDSU, Messa Colege and David Yelin College. Some of his students became world known performers. A. Luxemburg is an author of works for Theory of Music and Harmony. He was music director and pianist for a vocal group. A. Luxemburg is a member of the Israeli Composer's League, Union of Composers in the former USSR, Moldova and US. He is composer of pieces for symphony orchestra: "Sinfonietta", Symphony for Strings, Two Concertos for Piano with Orchestra, Concerto for Cello with Orchestra, Symphony Fantasy "Spring Melodies", Piano pieces: "Aquarelie", "In Memory of Shostakovich", "In Memory of Gershwin" and many pieces for Strings, Brass and Woodwinds. Czech and Slovak Republick, former USSR, Romania, Hungary, Israel, France and USA. He also writes Music for Movies and Choirs. At the end of 1990 Arkady Luxemburg moved to Israel where he continue his career as a Performer, Composer and Instructor.